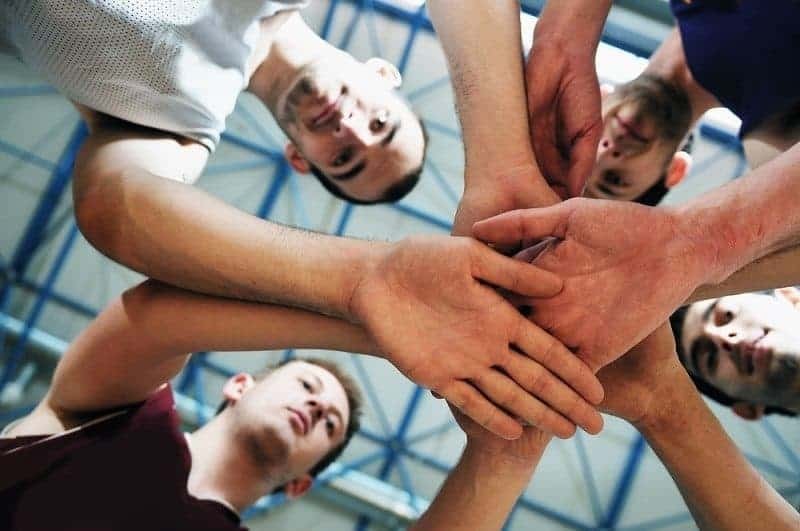 In the Caribbean, there is an expression, “Seven brothers, seven different minds.” As parents, we often try to fit our children into molds. We believe that if we know where they fit, we can better parent them. As a mom of boys with TWO distinctly different personalities and interests, I have had to deal with this phenomenon personally. My 13-year-old is an athlete. Typically, these kids tend to be outgoing, extremely likable, physically fit, and have an overdose of self-confidence. They tend to be smart, but not always overly interested in academics. After all, they spend extremely long hours at training and games. Then there is my 8-year-old. He’s the scholar. Typically, scholars are high academic performers with very curious minds. They tend to be consumed with books and any medium that will satisfy their thirst to understand and know more. I learned the hard way that these molds are nothing but stereotypes. While I see aspects from both descriptions above in my sons, they are more than these stereotypes – they are INDIVIDUALS. Or as I call them, my little men. In learning to adequately guide two uniquely different (and sometimes opposite) personalities, I have developed these five tips for parents. 1.) Acknowledge and celebrate their differences. The first thing I had to learn was to acknowledge and accept each of my sons for who they are. This is NOT as simple as it may seem. That’s because every parent secretly has their own idea of who and what they want their child to be. As a scholar myself (with ZERO interest in sports), it was extremely difficult for me to understand, much less accept, how I could give birth to a child who delights in and finds complete joy in a soccer ball. I was relieved when my second son came along to finally have a child that reads. I was guilty of expressing that. Inadvertently, I wrongly communicated that the interest of one son was better than the other. We must acknowledge each child’s area of interest. This means a vocal endorsement so that your child knows that you see where their attention lies. You may think you have accepted the interest, but your child will not know until you tell him or her. Going to your child athlete’s game may NOT be enough. Making sure to schedule their training sessions into the family calendar demonstrates that their sport is important. For the scholar, facilitating time for discussions gives them an opportunity to open the reservoir of knowledge they have accumulated. When you take the time to listen, you convey that you think they are important. That can boost the self-esteem quotient that is sometimes lacking for introverted scholars. But acknowledgement is not enough; you must celebrate them. Make a splash! A goal scored or an MVP designation are grounds for excitement. Remember to equally hype the completion of a new book or an A on an exam. Both are exceptional accomplishments that should NOT go unnoticed. One of the most important tips for parents? 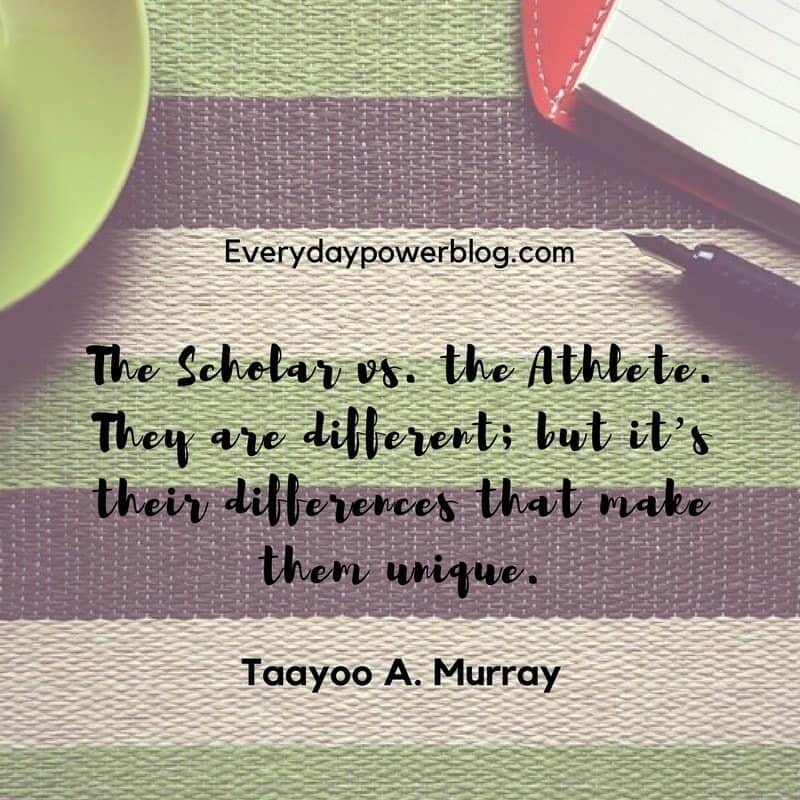 It is an absolute no-no to compare the scholar to the athlete. They are two different individuals with two different make ups. In our frustration as parents, it is very easy to vent and say we wish one was like the other. The athlete may not be academically inclined, be overly analytical about issues, or have a superb vocabulary. What they DO have is extreme self-confidence and self-motivation. The child athlete is disciplined, organized, and understands responsibility. That child athlete also has a winning mindset and knows how to persevere through failure. The scholar may not be as responsible and appear to have it all together. Absentmindedness that results in constant misplacement of belongings may drive you insane. However, that curious and analytical mind will delve into problems and hold in-depth conversations that will have you reaching for your lexicon and doing private research to keep up. They are different, but it’s their differences that make them unique. 3.) Plan activities geared towards their differences. 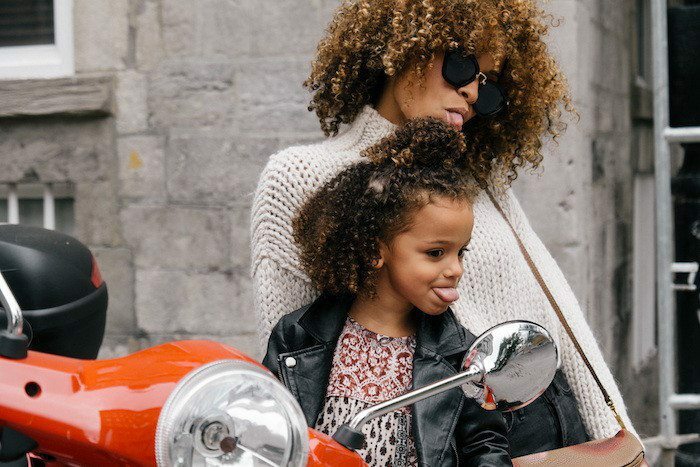 One of the greatest challenges of raising children with different interests and personalities is planning family trips/outings. How does one cater to the athlete’s need for constant activity and action, versus the scholar’s need to learn, absorb, and explore? 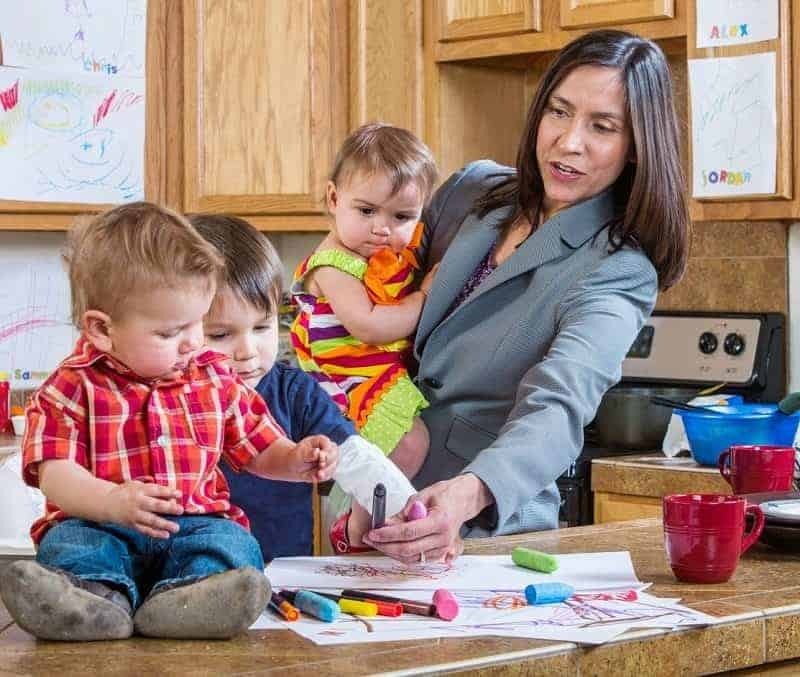 Like all parenting tasks, it takes careful and deliberate planning. 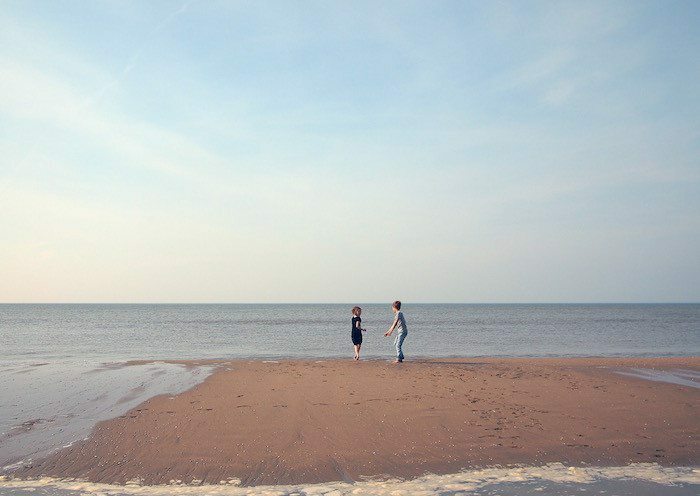 One of my tips for parents is to look for places that allow for movement, while stimulating imagination and thought. These would include Math Museums. Trips to historical sites that inspire awe like the Grand Canyon and Mount Rushmore are also recommended. Movies that have the right balance of action and a well-developed storyline that can be analyzed and appreciated will appeal to both the athlete and the scholar. I also recommend, when possible, to plan individual activities. This will further cement your child’s belief that you appreciate their interest and give you a chance to learn more about the area, too. This will also help you analyze how engaged the child is with their interest. 4.) Use the differences as a teaching tool. One of the biggest reasons for conflict in our society today is the lack of tolerance for others’ beliefs, ideas, and habits. There seems to be a tsunami of people wanting to force their ideas on another person with NO regard for that person’s perspective. 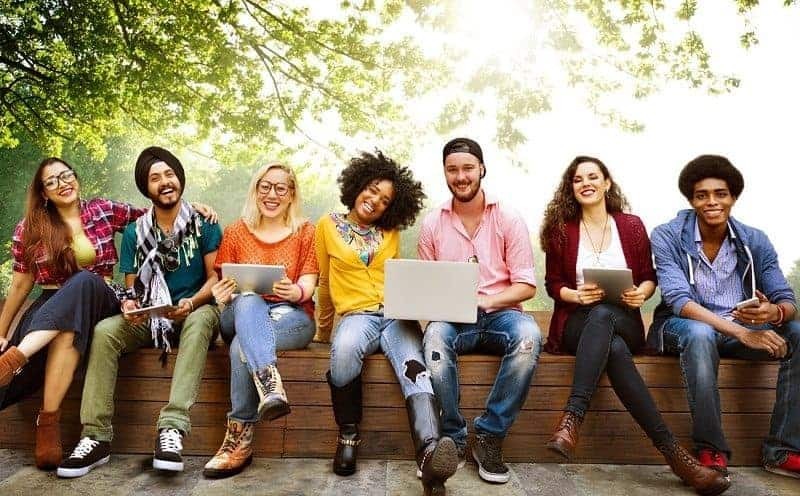 Parenting a scholar and an athlete is an excellent environment to teach tolerance, as you have two individuals with often conflicting interests and viewpoints cohabiting in close environs. Excelling in their respective areas makes them approach conversations and activities from opposite ends of the spectrum. This makes it imperative that they learn to understand and respect the other’s opinion. Rather than yelling ‘shut up’ and placing them in separate rooms to cool off, insist that each person present their opinion and the other listen. 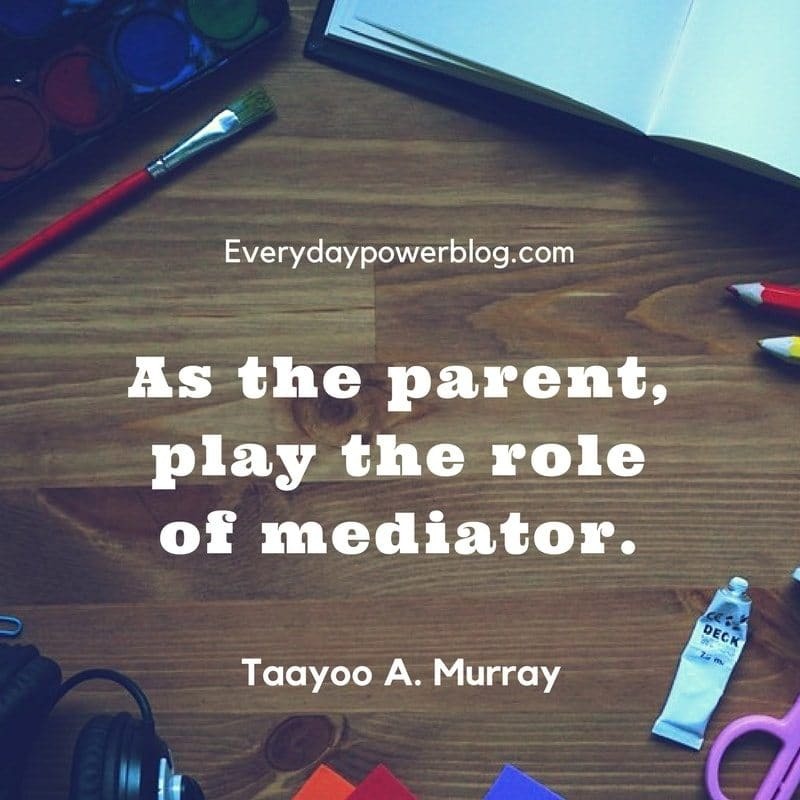 As the parent, play the role of mediator. Assist them in the communication process, ensuring that what is said is communicated and interpreted as intended. They may not always agree, but they will learn to disagree respectfully. This will teach them tolerance for others outside the home and develop vital conflict resolution skills. When your child perfects the art of articulating their opinions and listening to others, it lessens the likelihood of them being drawn into unnecessary confrontations. 5.) Convert their interest into a marketable skill. We exist in a world where everything can be sold—it’s just a matter of marketing. Gone are the days of traditional means of employment. New ground is broken everyday on areas for business. 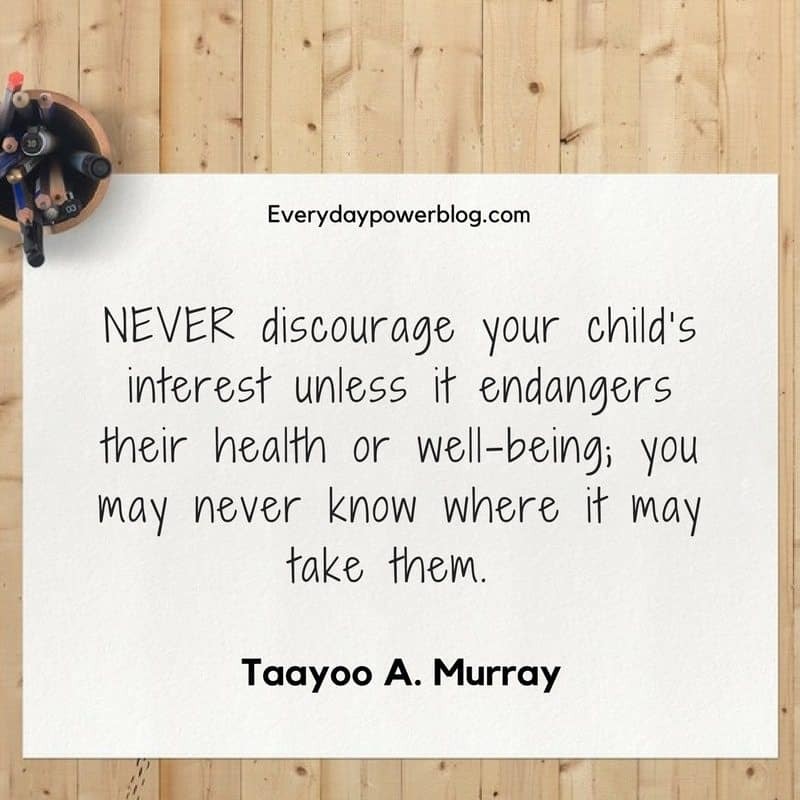 As one of my last tips for parents, NEVER discourage your child’s interest unless it endangers their health or well-being; you may never know where it may take them. While you may not think your child athlete will go pro, the skill sets of discipline, perseverance, and a winning mindset are vital for success in any area of life. Your scholar does not have to be a medical doctor, but that inquiring mind can be the home of an invention that will change human existence as we know it. Our responsibility as parents is to create the environment that allows our children to fully develop their interest into a marketable skill. This of course, requires effort on our parts. Research your children’s interest and see if there is a lucrative profession in the area. If there is no direct profession, search for relatable areas into which they can transition. Remember: the personalities and character traits children develop while pursuing their interests are equally important in their quest for a profession. It is our responsibility to find activities or trainings that will develop and hone these skills to perfection. Focus on the becoming, remembering that they are children and depend on us for guidance and support. My mantra has always been that successful parenting is deliberate, personal, and private. Having children with diverse interests may at times be challenging, but will NEVER be boring! 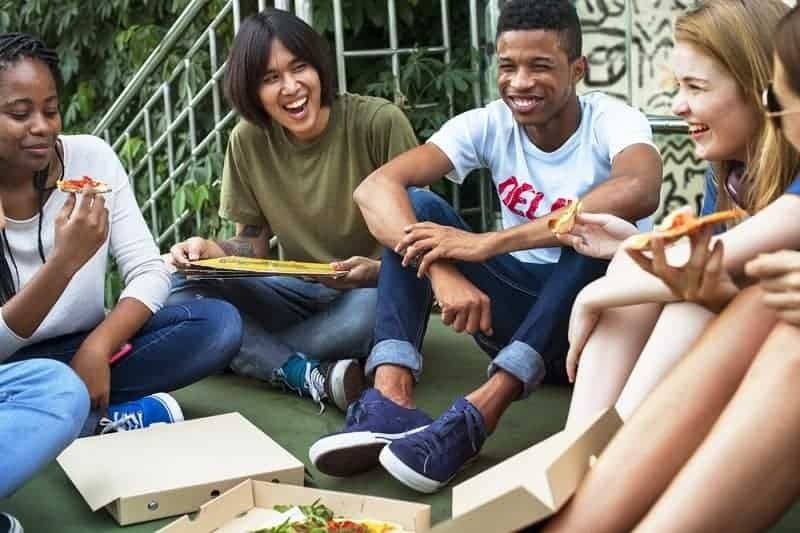 Developing the mindset of your home being a smorgasbord of choice will encourage your already amazing children and further develop a purpose-driven child. Hopefully, these tips for parents will help you in your own parenting endeavors.